Samuel Ames was born September 6, 1806. He graduated from Brown University in 1823 and was admitted to the Rhode Island bar in 1826. 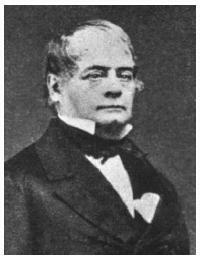 From 1841 to 1851 Ames represented Providence in the Rhode Island general assembly. During his tenure, he was a prominent supporter of state authority in the "Dorr Rebellion." This insurrection occurred in 1842 as a protest against the limited voting rights that existed in Rhode Island. The protest resulted in a more liberal interpretation of the right to suffrage. "It is difficult to draw and apply the precise line separating the different powers of government." Beginning in 1856 Ames served as chief justice of the Rhode Island Supreme Court. In 1861, he was the representative from Rhode Island during a series of unsuccessful negotiations to effect a peace between the North and South during the Civil War. Ames died December 20, 1865, in Providence, Rhode Island.